Jaishama Chadeesingh, a consultant with Planning Associates Limited, delivers the proposal for the adoption of the Atomic Vacuum Distillation Pilot Plant to officials from the Division of Infrastructure, Quarries and the Environment. The Tobago House of Assembly (THA) has approved a US$475,000 waste-oil processing pilot plant for Tobago. The plant, an atomic vacuum distillation pilot plant, was proposed to the Division of Infrastructure, Quarries and the Environment (DIQE) by its partner, the Basel Convention Regional Centre for Training and Technology Transfer for the Caribbean Region (BCRCCaribbean). The facility is intended to minimise environmental hazards and return economic benefit to the landscape, a release from the Division of Infrastructure said. “It is to facilitate collection, storage, treatment and re-refining of waste lubricating oil into a high yield, high quality and environmentally safe base oil product for reuse in the market,” the division added. 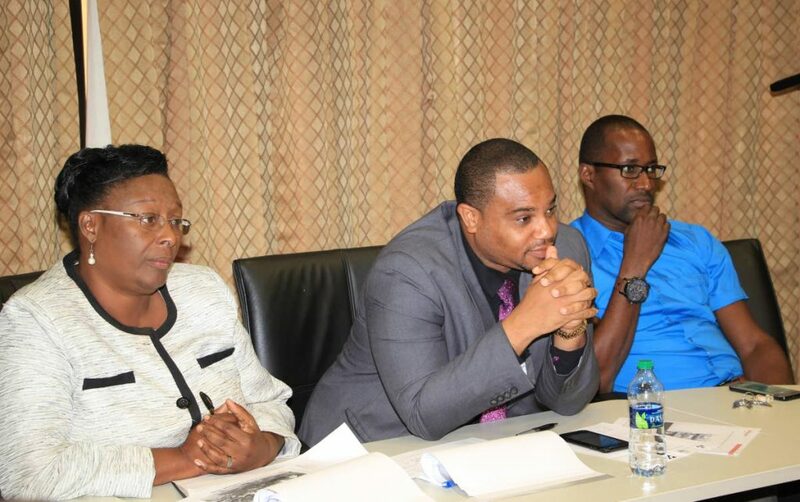 Secretary of Infrastructure, Quarries and the Environment, Kwesi des Vignes, centre, listens to the Waste Oil Management Proposal by the BCRC Caribbean and consultants from Planning Associates Limited. At left is Dunstan Denoon, Advisor to the Secretary, and the Divisions Administrator, Jacqueline Job. The release said the waste-oil processing plant in Tobago would remove the need and logistical challenges encountered in shipping waste oil to Trinidad and would result in direct cost savings for the assembly and local companies. Further, the plant would open the possibilities for the housing of other kinds of recycling initiatives on the island, it said. The release noted that the plant was one one outcome of an ongoing collaboration between the THA and BCRC-Caribbean under the Development of a Waste Oil Management System for Trinidad and Tobago (WOMS-TT) Project, being funded by the Green Fund. Construction of the plant is planned for 2018 on land still to be sourced, the division added. The plant, a pilot-scaled model would be one of over 20 similar-sized plants deployed globally to treat with smaller rates of waste oil generation like that of Tobago’s approximately 1,000 litres daily rate. The unit can be up-scaled to re-refine up to 75,000 litres per day, using a semicontinuous process. The WOMS-TT project, funded by the Green Fund, supports the development of this pilot-scale plant for the treatment and processing of generated waste oil in Tobago. Newsday Tobago reported on October 31 the uivision announcing that on average, 233,000 litres of waste oil were generated annually in Tobago over a four-year period from 2013-2016. This was according to findings and analysis of a 2017 census facilitated by the BCRC-Caribbean and endorsed by the THA. The survey, which was commissioned to ascertain annual volumes of waste-oil generation on the island and to investigate storage and disposal methods, falls the WOMS-TT project. The division reported than that 48 stakeholders from three key sectors – transport, professional services and public utilities – comprised the survey sample. The census showed that in 2016, 69 per cent of waste oil was disposed of at the Studley Park waste facility, while approximately three per cent was shipped to Trinidad. Most of the remaining 28 per cent was dumped in the soil; drain or water courses, with significantly lesser quantities stored permanently at generation sites. 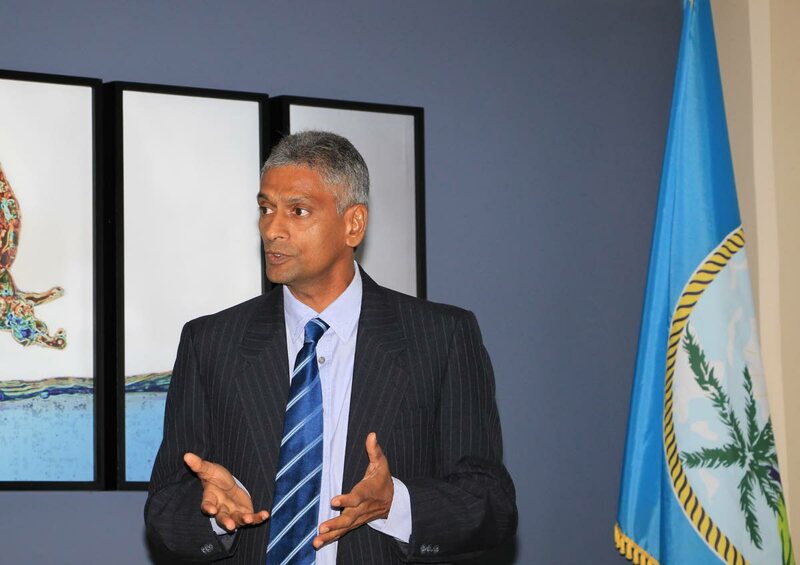 Reply to "US$475,000 waste-oil processing plant for Tobago"